TORONTO, ON — The Ontario Hockey League today announced that Philadelphia Flyers prospect Morgan Frost of the Sault Ste. Marie Greyhounds is the OHL ‘On the Run’ Player of the Week for the regular season week ending November 25 after scoring twice with seven assists for nine points in three games with a plus-minus rating of plus-5. Frost put together a pair of multi-point performances that helped the Greyhounds earn five of a possible six points last week to extend their lead atop the West Division standings. 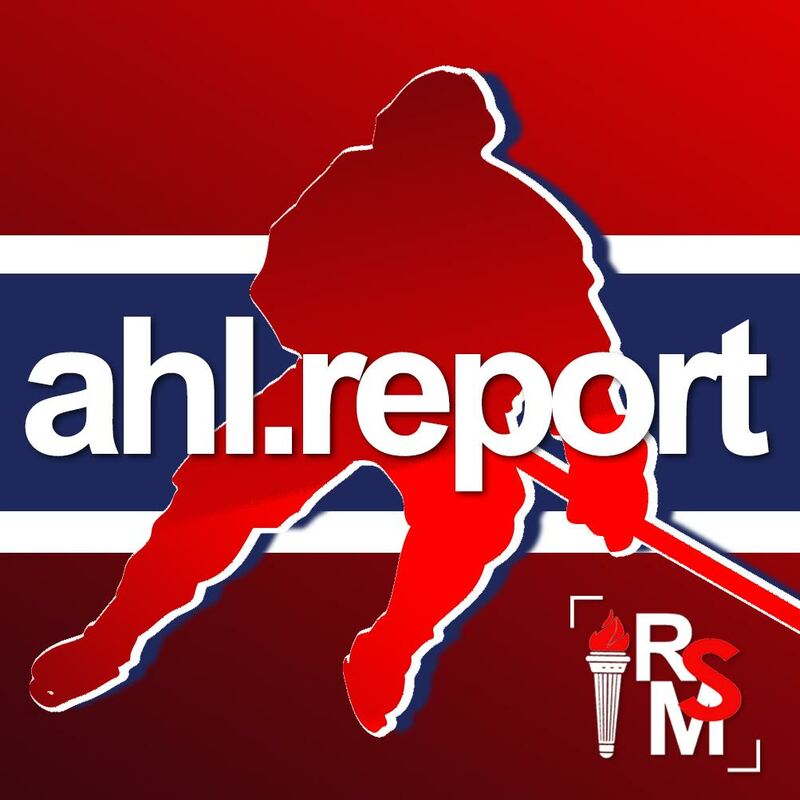 On Wednesday night he scored once and added two assists including a shorthanded set-up on Zack Trott’s Teddy Bear Toss goal to earn first star of a 7-4 win over the Sudbury Wolves. He scored once in Friday’s 5-4 overtime loss to the Guelph Storm then rebounded with a career-high five points, all assists, as first star of a 7-4 victory against the Owen Sound Attack. Frost now leads the league with 30 assists and the Greyhounds hold a 15-6-4-1 record. 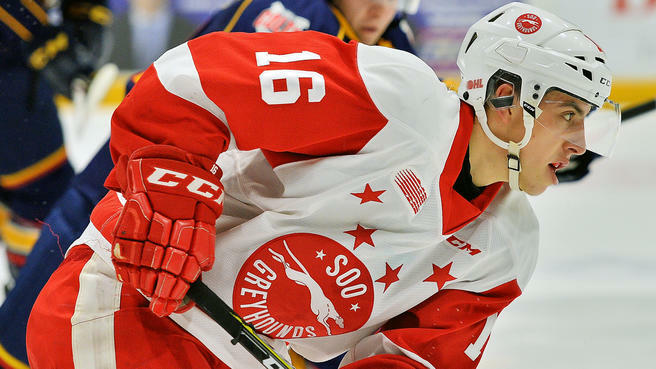 A 19-year-old from Aurora, Ont., Frost is playing in his fourth career season after being chosen by the Greyhounds in the fourth round of the 2015 OHL Priority Selection. He’s currently tied for second in OHL scoring with 46 points in 26 games which brings his career total to 247 points in 225 games. The first round pick by the Flyers in the 2017 NHL Draft recently competed for Team OHL at the 2018 CIBC Canada Russia Series as one of the league’s top candidates aspiring to represent Canada at the World Junior Championship. Also considered for the award this week was overage forward Anthony Salinitri of the Sarnia Sting who scored four goals and five assists for nine points in four games, and Columbus Blue Jackets first round pick Liam Foudy of the London Knights who scored three goals and four assists for seven points in three games. In goal, NHL Draft prospect Hunter Jones of the Peterborough Petes posted a 2-0-0-0 record making a total of 68 saves for a goals-against-average of 1.00 and save percentage of .971 highlighted by a shutout victory on Teddy Bear Toss night in Erie.